The perfect hat for colder british weather this autumn/winter. 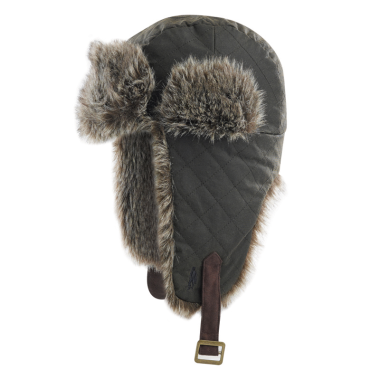 The olive colour goes with most jackets and the faux fur trim offers extra protection and a stylish finish.. Leather strap can be used for when the weather takes a turn for the worse. Ideal hat for dog walking.